Last week I wrote of the death on our little farm. Folks have asked how I helped the children people grieve. Here is my response. Let's learn together, how have you helped children to grieve? Thank you Brenda for reminding us that, "The mystery of God, the cries of our suffering Servant, and the untidiness of me–they’re things my kids need to see. 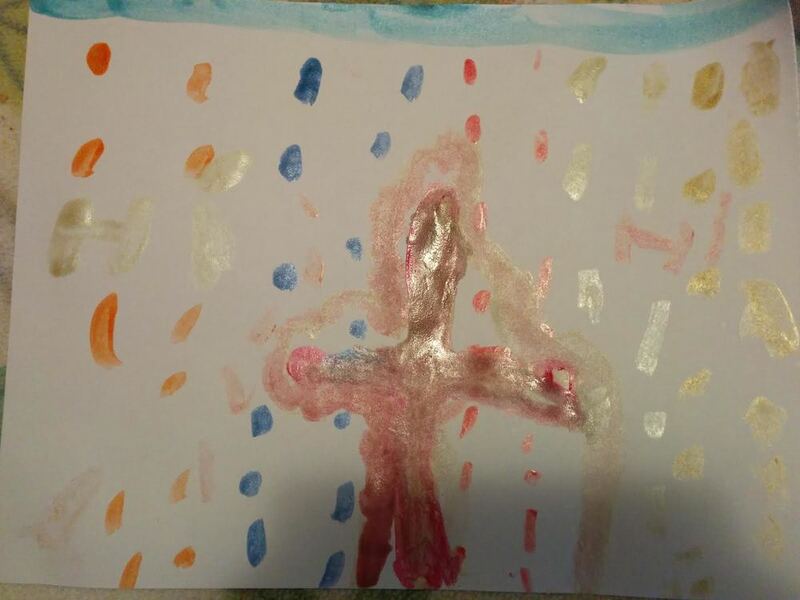 And that image of the cross, I hope it comes to mind every time I’m spent and need to share just a little more of myself." An excerpt from Good Dirt: Lent, Holy Week and EastertideTill: Jesus, you are powerful! You can defeat any evil, and drive away any enemy that would harm us. We are amazed by you! Water: Draw it: Make a drawing of part of this story that captures your imagination. Share your drawing and tell why you chose this part of the story. Apply it: Jesus shows that he has power even over a rioting mob of evil spirits. Where do you need to see that Jesus is powerful today? Weed: Did you see the power of Jesus today? Where? Describe what you saw. Invite Jesus’ power to stay with you and protect you tonight. A beautiful reflection from our friend Brian. "My todos can wait. God is in all those things, too, but how much more is He present in this little community of God-imaged beings around the kitchen table?" 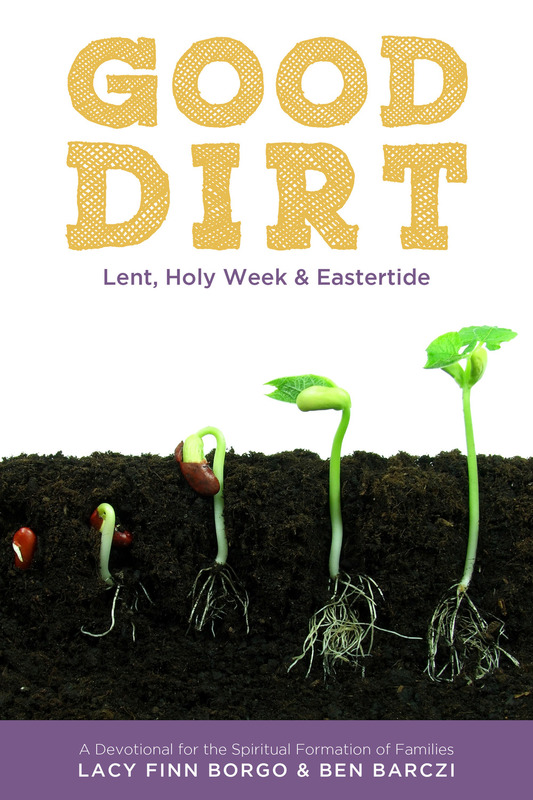 An excerpt from Good Dirt: Lent, Holy Week and Eastertide Till: Jesus, we are all ears. We are listening to you! Help us to listen with our ears and our hearts. Help us obey, so we can be students who learn to be just like our teacher. Help us to be like you. This is what I found this morning as I entered the kitchen. I didn't know whether to laugh or cry. It's been that kind of Advent. Rather than lay out my laundry list of gripes, let me just say, we've been busy and stressed. Our whole family feels it... as evidenced by the circus Nativity. Two days ago I had my own stint with acrobatics, when I fell down the stairs in our house. If someone had been recording my fall, I'm sure it would qualify for a least a small frame on AFV. While I am pretty certain there are no broken bones, I am sore. My back is sore, my neck is sore, my shoulder is sore; and don't ask me how, but even my hair hurts. My "bounce back" time at over 40 is certainly less than it was 20 years ago. At 3am this morning, my not-so-bouncy-body woke me up. Pain is hard to sleep through so I got up, lit the Advent candles and had a little solitude and silence. Our house has large windows that circle the perimeter to let in the light, but this morning at 3am there was no light from outside, no light from inside except the Advent light. Advent light was more than enough to see by. It was more than enough to bring comfort and calm. It was more than enough to offer healing both to body and soul. Take a moment to focus your gaze on the circus Nativity, which person stands out to you? Ask the Spirit to show you why this person draws your attention. Reflect upon your life and responsibilities, ask the Spirit to show you some areas in your life that are well balanced. Give thanks. Reflect again, and ask the Spirit to show you some areas that are unbalanced. Tell these to the Father, ask for guidance. Blessed Trinity, thank you for reminding me that Advent is your open invitation to peace.